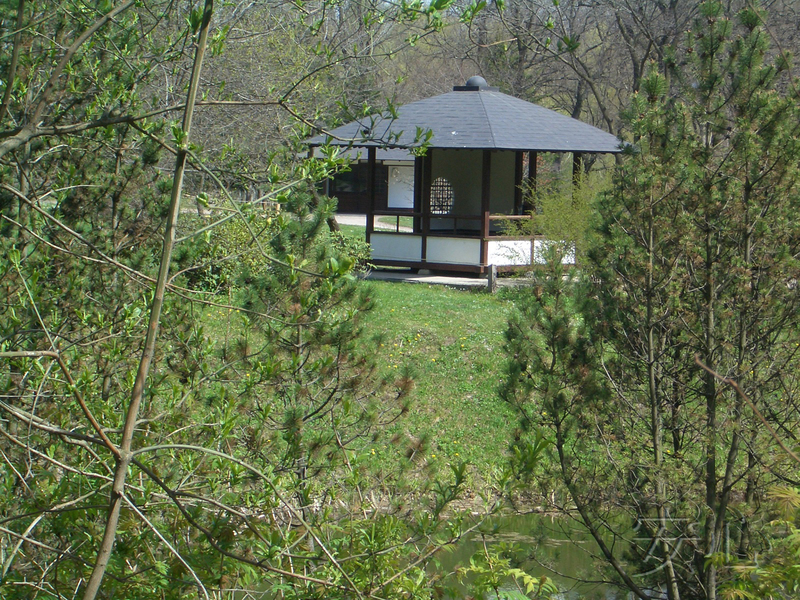 A pavilions in Japanese gardens. A pavilion is an important part of a Japanese garden, but it looks really different from summer-houses we are used to see in our gardens. 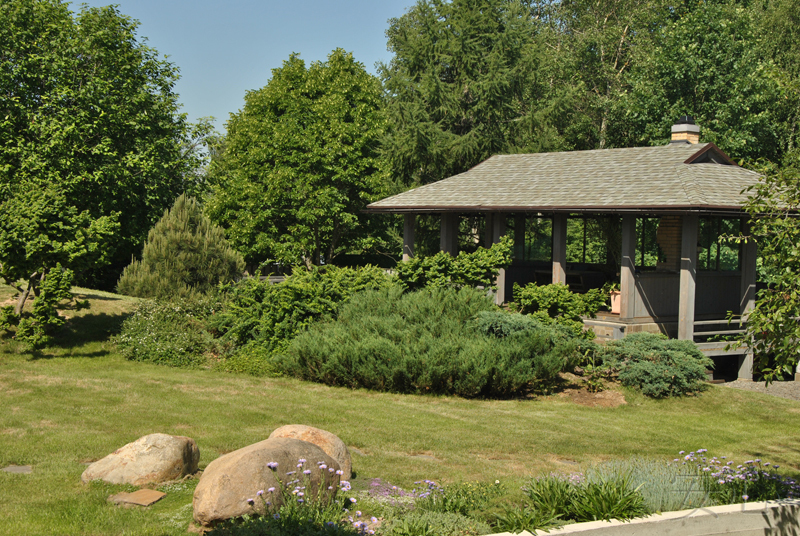 It’s connected with the history of the development of the Japanese garden. Initially these gardens were planted near emperor palaces or the aristocracy houses. At that time Japan was under the influence of China. 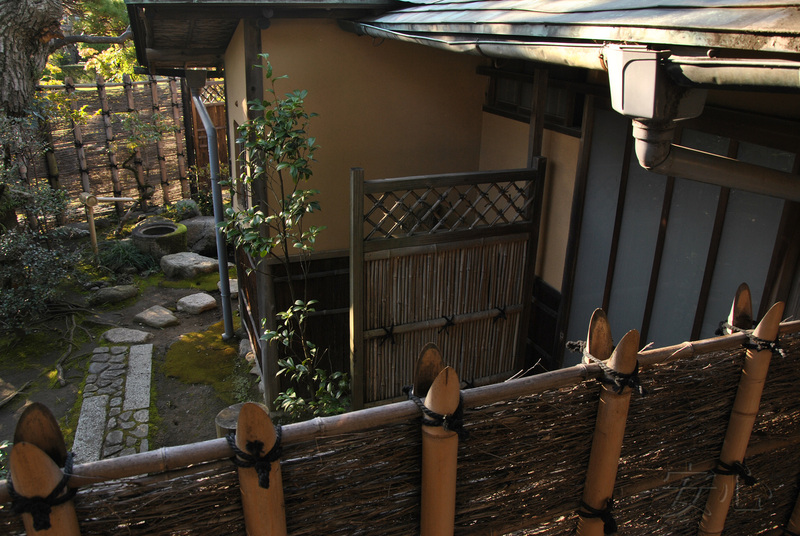 Japanese way of life and culture as well as gardening were greatly influenced by that country. Different ceremonies and rituals extremely important at court were held in the pavilions built in a Chinese style. 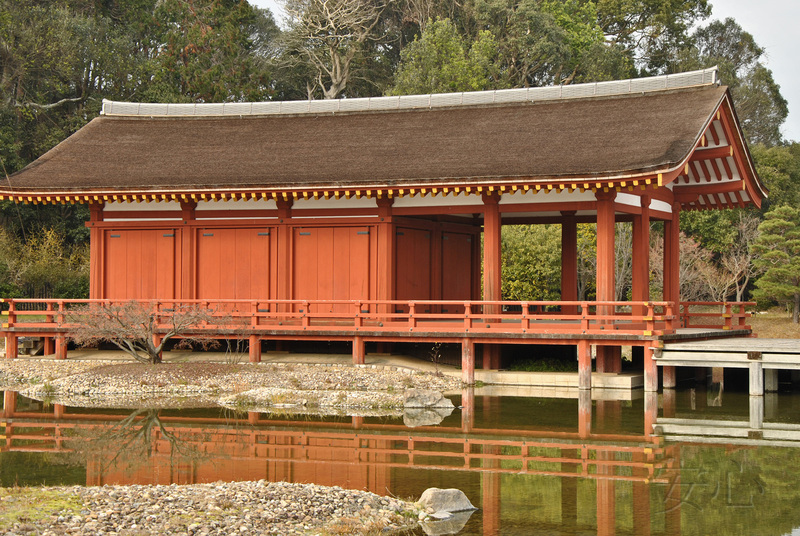 However, the Japanese kept their originality so pavilions built in a more ascetic Japanese style could be seen side by side with the Chinese pavilions. 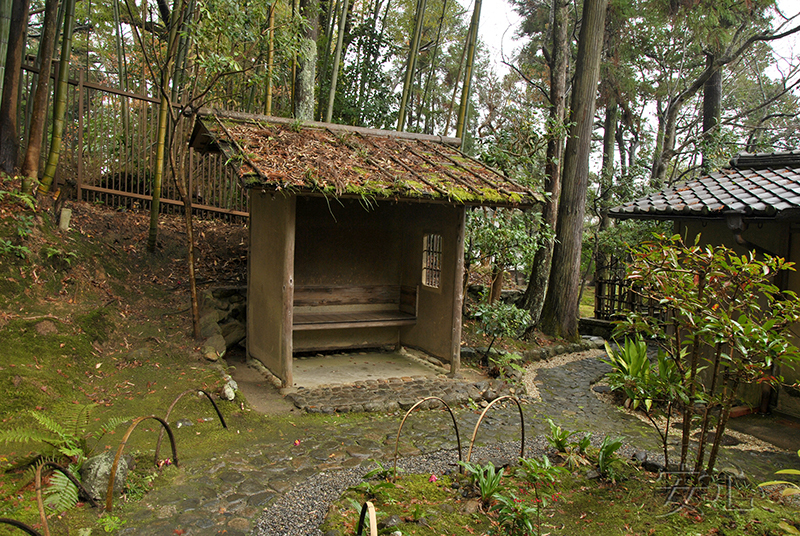 Ancient garden Toin in Nara is a typical example. 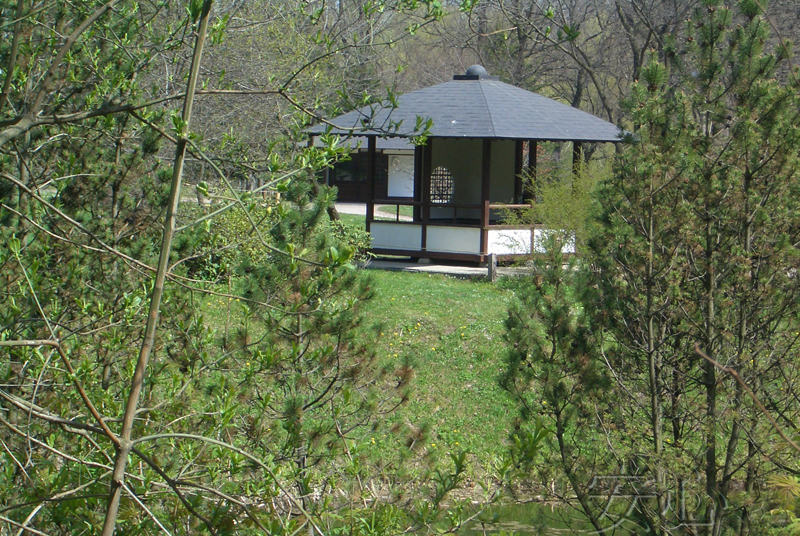 There used to be a Chinese pavilion with a foundation in the north-eastern part, whereas a Japanese pavilion on the western side of the pond was built on poles. Japanese way of life changed greatly in Muromachi period. It affected Japanese gardens especially garden constructions. That’s why this period is really fascinating. A tea ceremony became one of the most favourite entertainments of the Japanese aristocracy. At the beginning it was like a competition where the participants tried to guess a sort of tea brought from China. But tea ceremonies were still rare and were held among rich people only. However, the more tea was delivered to Japan, the more popular tea ceremonies became. 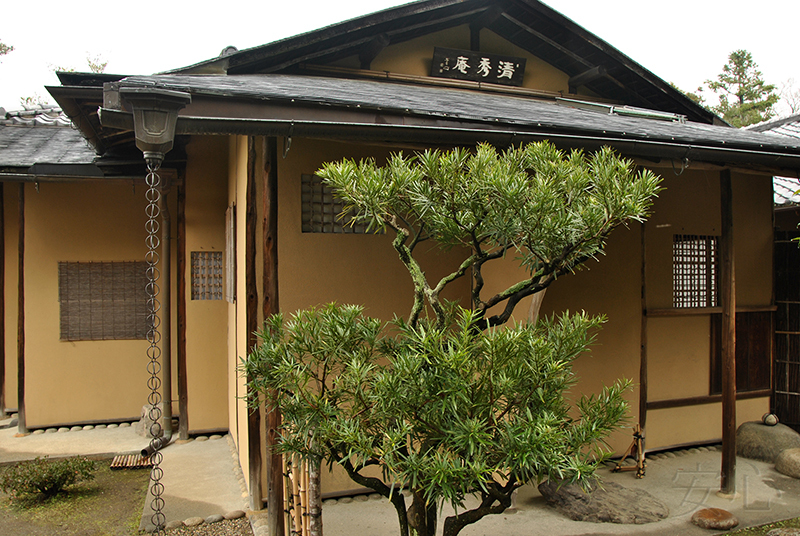 Special constructions were built for tea drinking and tea ceremonies. 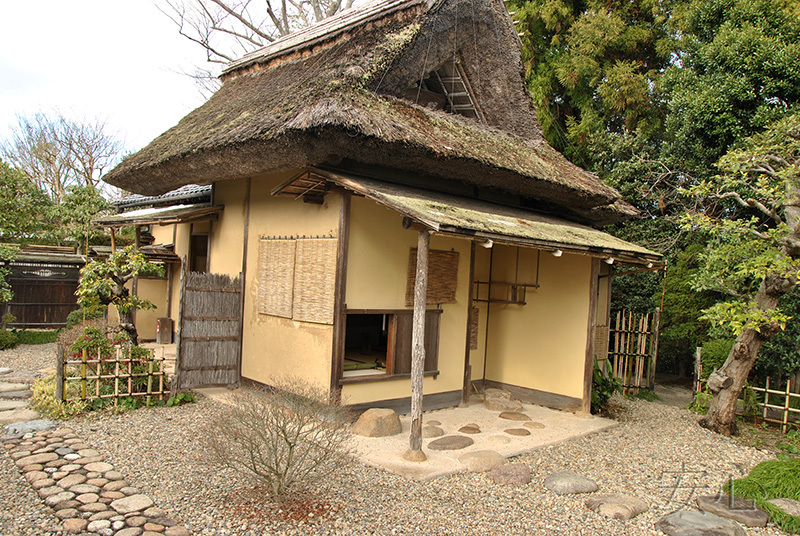 Those constructions were made either inside the house or as a separate house in the garden which was called tyasitsu. The floor in the house was covered with tatami, the windows were small and crude wooden poles were used. The entrance was really tiny so one could enter a summer-house only if they bent down. This circumstance was believed to emphasize equality between all guests as well as show respect to the host who had organized the ceremony. Tyasitsu looked like a typical village house but it was done on purpose as it gave a particular meaning to a tea ceremony. 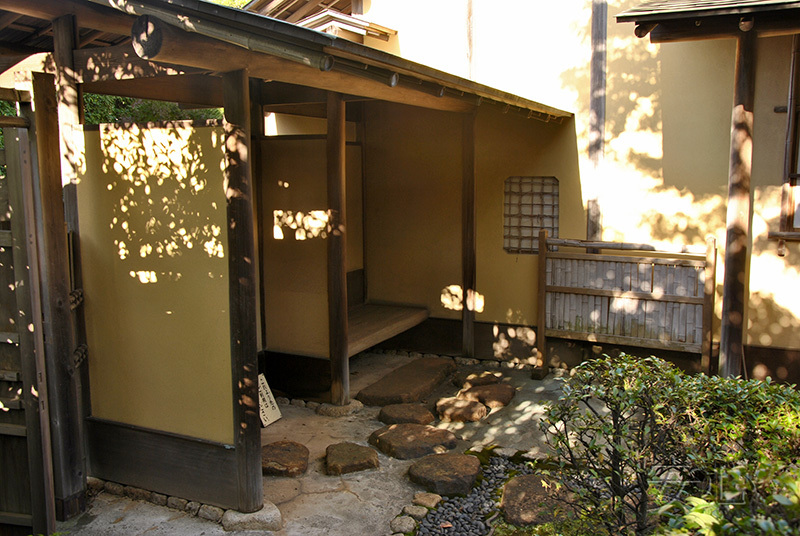 The development of tea rituals led to the appearance of another type of a covered arbor called soto-koshikake (machiai), the covered outer waiting booth. Having passed through the covered gate, which separate roji and external world, gests first were taken a rest in this small arbor. They were sitting there in silence and waiting for the tea ceremony. That moment was of great importance as the guests didn’t only expect to be invited but could get into the mood of the ritual. The time spent in a soto-koshikake also helped people unite. So a type of a summer-house in your Japanese garden can be different. It is possible to have a small soto-koshikake or a tyasitsu. If your garden is big enough, decorate it with both a beautiful pavilion and a charming machiai of expectation.